Last week the View of the Reds Farm from the Old Recliner looked at the newly published rosters of the four Reds full-season minor league affiliates. With no games or statistics available, we perused each affiliate’s roster, focusing on the top Reds pitching prospects per MLB.com (MLB). This week, with just a few games completed, we’ll complete the roster review by focusing on the top Reds hitting prospects per MLB.com (MLB). Even with limited results, we’ll include the top individual performances for each affiliate in the Reds farm, through the first week of games played. Through six games, the AAA Louisville Bats maintain a 2-4 record and reside in 4th place in the 4-team International League West Division. The Reds organization stockpiled their top pitching talent and depth with their AAA affiliate. The arms in AAA provide ready replacements if needed at the major league level for the 2019 season and major league ready restocking talent for the 2020 season. Pitchers in the AAA International League maintain a 4.49 ERA, 1.377 WHIP, 9.6 SO9, 2.44 SO/W and 1.0 HR9 during the 2019 season. The AAA Louisville Bats pitchers maintain a 3.52 ERA, 1.398 WHIP, 9.1 SO9, 1.69 SO/W and 0.7 HR9 during the 2019 season. With the exception of Nick Senzel, the Bats lack superior talent and depth among the position players assigned to the Reds AAA affiliate. Chris Okey’s promotion to AAA related more to avoiding playing time conflict with top catching prospect Tyler Stephenson at AA than rewarding his offensive production over the last two seasons. Hitters in the AAA International League slash .249/.332/.406/.738 during the 2019 season. The AAA Louisville Bats hitters slash .229/.321/.368/.689 during the 2019 season. Through four games, the AA Chattanooga Lookouts maintain a 2-2 record and reside in 2nd place in the 5-team Southern League North Division. The Lookouts showcase the 2nd tier of top pitching talent and depth targeted to supplementing the major league roster by the 2021 season. Pitchers in the AA Southern League maintain a 2.97 ERA, 1.271 WHIP, 9.5 SO9, 2.31 SO/W and 0.5 HR9 during the 2019 season. The AA Chattanooga Lookouts pitchers maintain a 4.25 ERA, 1.556 WHIP, 8.5 SO9, 1.42 SO/W and 0.8 HR9 during the 2019 season. The Lookouts contain significant superior talent and depth among the position players assigned to the Reds AA affiliate. Jose Siri represents a toolsy centerfield prospect with a serious flaw, a 30% strike out rate in 2018. Ibandel Isabel came over to the Reds from the Dodgers in the April 2018 trade for Ariel Hernandez. Isabel demonstrated power potential, producing a .262 Isolated Power (ISO) in 2016 and .230 ISO in 2017. After the trade to the Reds, Isabel’s power erupted to the tune of a .308 ISO and 35 home runs in the pitcher-friendly Florida State League. Alfredo Rodriguez represented the prior Reds Baseball Operations effort to participate in the Latin America prospect market. The effort failed miserably. While Rodriguez demonstrates excellent defense, his bat simply will not develop to the major league level. He should drop off all prospect radar this season. Hitters in the AA Southern League slash .221/.314/.319/.633 during the 2019 season. The AA Chattanooga Lookouts hitters slash .317/.368/.460/.829 during the 2019 season. Through six games, the High A Daytona Tortugas maintain a 2-4 record and reside in 4th place in the 6-team Florida State League North Division. Pitchers in the High A Florida State League maintain a 3.47 ERA, 1.265 WHIP, 10.3 SO9, 2.64 SO/W and 0.4 HR9 during the 2019 season. The High A Daytona Tortugas pitchers maintain a 4.85 ERA, 1.462 WHIP, 9.9 SO9, 2.48 SO/W and 0.7 HR9 during the 2019 season. Hitters in the High A Florida State League slash .224/.314/.319/.633 during the 2019 season. The High A Daytona Tortugas hitters slash .226/.306/.279/.585 during the 2019 season. Through six games, the Low A Dayton Dragons maintain a 2-4 record and reside in 7th place in the 8-team Midwest League Eastern Division. Pitchers in the Low A Midwest League maintain a 3.65 ERA, 1.361 WHIP, 9.8 SO9, 2.29 SO/W and 0.7 HR9 during the 2019 season. The Low A Dayton Dragons pitchers maintain a 5.40 ERA, 1.819 WHIP, 10.8 SO9, 1.72 SO/W and 0.9 HR9 during the 2019 season. Hitters in the Low A Midwest League slash .235/.329/.336/.664 during the 2019 season. The Low A Dayton Dragons hitters slash .227/.296/.323/.619 during the 2019 season. Now that Shed long was traded, that has given a good opportunity to Josh VanMeter, and he has taken off with it. I believe VanMeter and O’Grady are going to surprise a lot of people this year with solid offensive seasons at AAA. If I got to choose an affiliate to go see and spend 3 or 4 days watching, it would have to be Chattanooga. Good rotation, good bullpen, and good position players, at least on paper. Yes. Sheldon had this quote from Williams in his update. He should be at AAA soon. I think when he goes to Triple A it will be treated as a Rehab stint, once he proves he is healthy he is getting the call. The timeline for the extra year will pass in the next few days. Had he not sprained his ankle, Saturday would have been a good candidate for Nick Senzel Day. First day for call-up while protecting that extra year of control. Jose Siri 0-5 with 5k? The Southern League all star game is June 17 in Biloxi. 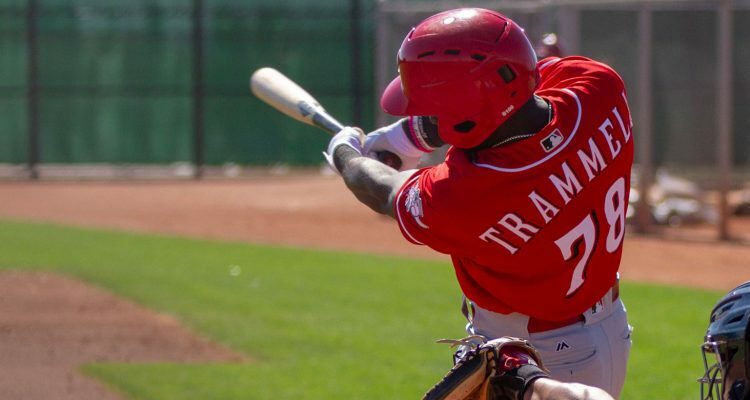 Could we see promotions to AAA for Taylor Trammell and TJ friedl the second half of June? He would look like a good bet for a mid-season promotion, but Trammell will play regularly wherever he’s assigned. 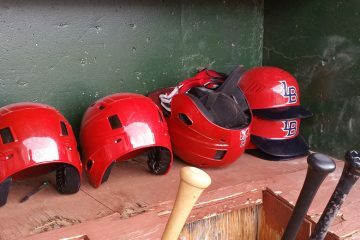 The Bats OF has Longhi, Ervin & Aquino (LF – RF). The Reds may be making final determinations regarding the long-term prospects of those 3 OF. Aquino was already removed from the 40-man roster. Ervin may be facing the same situation during the next off season. Longhi is certainly in jeopardy. My guess is that the Reds are ready to pull the trigger if Trammell continues to rake at AA. He has the advantage of 64 games and 274 PA at AA last season (.276/.359/.360/.719). Another 2-3 months in AA this season with similar results should put him in line with a mid season promotion again this year. The Reds will likely need a starting CF and possibly even a corner OF in 2020. Those are the 2 best options nearing major league readiness. Either player would provide a top-of-the lineup option in addition to OF defense. I’m not trying to nitpick, I’m legitimately confused; Romano had looked good? How did he have a 0.00 ERA in 4 IP, but 1 HR/9? I could see an after third out home being unwanted but now can someone average a homer per nine in only 4 IP? He’s either given up 1 (2.25/9) or none (0/9), right? That confusion aside, really nice, comprehensive writeup. Even losing the walk year guys, the future looks bright in Cincinnati!